Saturn is viewed as a strong malefic planet. It gets its name as a hard task master. Career plays an important role in life. 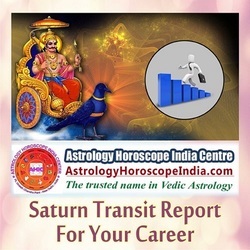 Change affected in career when Saturn is not moving favorably can lead to challenging situation to handle. A steady and progressive career is a boon for concerned person. At the same time favorable transit of Saturn can lead to encouraging employment opportunity. Saturn also helps to climb up the ladder in your assignment.